Dave Mirra has won more medals in the X Games (a yearly competition held for extreme sports athletes) than any other athlete. What began as a way to pass time became the BMX biker's road to fame and wealth when Mirra turned pro at seventeen. In 1993 he was sidelined for six months after being hit by a drunk driver. The accident nearly killed him, but Mirra came back to win several X Games gold medals in the late 1990s. 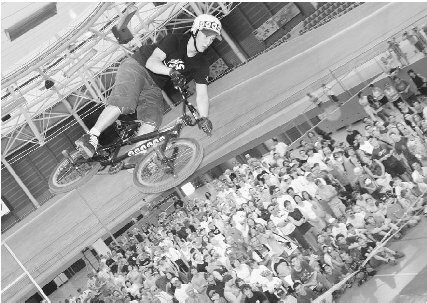 In 2005 Mirra won his record eighteenth X Games medal and won the ESPY Award for Best Male Action Sports Athlete of 2005. David Michael Mirra was born on April 4, 1974, in the small New York town of Chittenango. His parents divorced when he was just five years old, and Dave and his brother, Tim, were raised by their dad. His mother, Linda, lived nearby in Syracuse and spent time with her sons on a regular basis. As is typical of boys their age, Dave and Tim spent most of their free time riding their bikes around the neighborhood with their buddies. Small towns don't offer much else to do, and in the early 1980s, Mirra and his brother noticed a few of the other kids in town were riding BMX. (Although BMX stands for "bicycle motorcross," it also has meaning as a term used to describe a sport that includes racing on hilly or sandy tracks as well as on flat land using ramps and obstacles. Bikers use their 20-inch bikes to perform tricks and stunts throughout the race.) They used whatever they could find for jumps. Mirra and his friends were hooked. They began using wooden ramps, curbs, and dirt blocks as jumps. It was then that he began inventing his own gravity-defying stunts that eventually earned him the nickname "Miracle Boy." Within a couple years, freestyle BMX had gained in popularity. It was no longer a spectacle to see kids performing stunts and tricks on their bikes. Around the age of thirteen, Mirra got noticed for his flatland racing ability (no jumps). It was around this time he realized he might actually be able to turn his hobby into something more. He and his friends already spent nearly every waking moment of the summer— and most of their free time during the school year—on their bikes, challenging and encouraging one another. Mirra's level of dedication to the sport had always been more intense than that of his pals, a key factor in determining how far he would one day take his abilities. "Anything you want to get better at is a commitment. Without commitment, there would be no success." Mirra attended a General Bikes show in Syracuse in 1987. While waiting for the show to begin, Mirra was riding flatland in the store's parking lot. Fred Blood, one of the company's pros, noticed Mirra, who was performing a difficult trick, called double decade, with the greatest of ease. The trick involved making two complete turns in midair while holding on to the handlebars. Mirra described the situation on 23mag.com : "Not too many riders in the country were pulling that trick off at the time, so Fred was pretty surprised to see me, a five-foot-tall kid from Chittenango, pull one." The chance meeting brought Mirra his first sponsorship, which included a discount on a General bike and discounts on parts in exchange for riding in shows. It was a dream deal for any beginning BMXer. Later that same year, Mirra accepted a better sponsorship by Haro. He got a couple bikes, some parts, and paid food and lodging at contests. Not a bad deal for a thirteen-year-old, small-town kid. Mirra's first competition, the AFA Masters, took place in October 1987. His nerves took over, and he finished in eleventh place, next to last. Mirra was dropped by Haro in 1988 due to financial cutbacks in the freestyle industry as a whole. Bike sales were down, and riders were being cut from nearly every team. Though disappointed, Mirra wasn't worried. His interests were changing, and his "career" soon took a new direction. He explained to Scott Willoughby of the Denver Post, "I moved into ramp riding in the late '80s because I've always been more into jumping and taking risks. I think it was just something different than what everybody else was doing at my age. But I never really thought about it. That's just what I did." This is also around the time he met fellow BMXer Kevin Jones (1967–). Jones was part of a group called the Plywood Hoods. Mark Eaton (1969–) was another member of the Hoods. Mirra met Eaton at a contest in Pennsylvania when he was fourteen. Eaton invited Mirra to ride with the Hoods, a true honor for a kid who wanted nothing more than to ride BMX. The Plywood Hoods produced the first underground BMX video, Dorkin' in York. Mirra's friendship with Jones and Eaton landed him a spot in Dorkin' in York 2. That invitation marked his debut into videos. It was merely a sign of things to come. By 1989, Mirra was getting a reputation as a kid who had a serious future in BMX. He entered a Pennsylvania competition that summer, one in which there were no age divisions for amateurs in King of Vert(ical) events. So Mirra found himself competing against bikers in their twenties. He was just fifteen when he placed an impressive eighth out of twenty-five competitors. September found him in yet another King of Vert contest, this time in New York. He not only performed well, but landed a spot on the Dyno team when pro Dino DeLuca told his manager to sign Mirra. The deal meant more free bikes and all-expenses-paid travel. First came the Cardboard Lords, a group of friends who rode BMX in the early 1980s, before freestyle became popular. The Cardboard Lords discovered breakdancing and spent the next year and a half perfecting their style. Kevin Jones was the leader of the pack; there were six other members. By 1985, the Cardboard Lords had won all the local competitions, but breakdancing's popularity was dying out. Jones and another member, Mark Eaton, ran into an old friend one night. Mike Daily had a BMX freestyle team called the Plywood Hoods. The two Cardboard Lords were intrigued by what their friend was telling them about the Hoods, and two months later the Cardboard Lords disbanded. Jones, Eaton, and another member, Mark Dale, renewed their interest in BMX and began freestyling. They joined the Plywood Hoods. Though the group specialized in flatland, the Hoods also continued to enjoy freestyle. Soon they were featured in a magazine article that publicized their attitude: We do what we want and don't care who or what might get in our way. The Hoods became instant heroes of the underground freestyle scene. Here was a group of average kids, with bikes that had been put together with spare parts. They were much more accessible to the underground scene than were the BMX "stars" of the day. Dissatisfied with the instructional videos available on the market, the Plywood Hoods decided to make a video for freestylers. The Hoods took their own cameras around their hometown of York, Pennsylvania, and shot the movie themselves. Ever the humble teens, they called their film kin' in York. The flick contained interviews with a number of riders with various styles. Music was incorporated, and before they knew it, the Plywood Hoods found themselves with a million-dollar-a-year industry. In 1990, the Hoods held the first York Jam, a noncompetitive riding session. Throughout the 1990s riders from across the globe would move to York just to be part of the riding scene. All in all, there is a total of ten Dorkin' in York videos. They are available as a box set. The Dyno move proved to be a good one. Mirra finished seventh in the Expert class of the 1989 King of Vert finals. Soon he was touring the United States. In 1992, at the age of seventeen, Mirra turned pro. That summer he was featured on the June cover of Invert magazine and interviewed in the July BMX Plus! His sponsors included Hoffman Bikes, Airwalk, Homeless, and Standard Bikes. That was also the year Mirra invented some of his more famous tricks, including the backside weasel and frame-stand peg-pick. One of Mirra's greatest moments came a year later when he beat freestyle champion Mat Hoffman in a half-pipe contest. It was Hoffman's first loss in three years. The freestyle industry hit a dry spell right after that feat. Supporters were pulling out and riders were on their own. Though the future looked bleak, Mirra continued to ride hard and dedicate his heart to the sport. Life changed drastically in December 1993, when Mirra was hit by a drunk driver while crossing the street. The accident left the athlete with a fractured skull and torn shoulder. A blod clot formed in his brain, and no one was sure if Mirra would live. Recovery was maddeningly slow; it took six months of medication and time off from riding for Mirra to even begin to get his groove back. He told Willoughby, "It was a setback, but something I overcame. It doesn't even mess with me at all. In life there are obstacles you have to go through. Whatever it is, youover-come it eventually." But even then, there was so little happening in BMX around the country that he found it difficult to get motivated. Mirra moved to California in hopes of a new scene but moved back to New York within two weeks. But being home didn't feel right either. Looking back, Mirra considers 1994 a year of professional crisis. "It took me that long to figure out not to give up," he wrote on 23mag.com. The one highlight of Mirra's career at that time was doing well at the Chicago Bicycle Stunt Series competition in 1994. He placed first in street and third in vert, worthwhile performances especially in light of the accident. In the meantime, Mirra's big brother, Tim, had moved to Greenville, North Carolina, to attend college—and he lived right across the street from a BMX park. Mirra visited his brother a few times before deciding to join him. Tim's support and encouragement helped Mirra get back to the determined mindset that put him at the top of his game before the accident. And it was the first time he'd ridden seriously in fifteen months. Mirra signed with Haro again in 1994. This time, he was paid $30,000 a year to ride in competitions, a definite step up from a free bike and travel expenses. Haro also helped Mirra build a vert ramp to practice on and get him back to competing form. Mirra eventually built a 15,000-square-foot training complex in an industrial park just outside Greenville. The "warehouse" is considered to be one of the best facilities of its kind. In late 1994, ESPN announced it would host the first-ever X Games the following year. Athletes would compete in twenty-seven events in nine categories, including biking. Mirra competed and took home the silver medal. The X Games helped bring the world of BMX to a much larger audience, and soon the bike world couldn't get enough of Mirra. He was featured on numerous magazine covers and in interviews, all the while continuing to compete and dominate. In 1996, Mirra earned the title of World Champion of the pro vert. He was the X Games street champion that year as well and placed second in the pro vert. Mirra signed with Reebok that year, a move that increased his visibility and popularity. Dave Mirra flies high during a demonstration event in the half-pipe at the 2005 UCI BMX Supercross World Championships. X Games!" he told 23mag.com. But as good as 1999 was, it was just a foreshadowing of what 2000 would bring. The year 2000 was a phenomenal year for the twenty-six-year-old athlete. Aside from the fact that he had his own line of bubble gum and cereal, Mirra enjoyed the success of his Dave Mirra Freestyle BMX video game. Released in September, the PlayStation® game sold more than 1.2 million units by April 2001. Mirra developed a strong identity with consumers, so much so that Dave Mirra Freestyle BMX 2 for the PlayStation 2® was released later that year. The games have also been released for GameBoy, X Box, and Sega Dreamcast systems. As if that weren't enough, Mirra was one of two alternative sports athletes to be recognized as a notable sports icon in mainstream media. His media exposure alone reached $2.5 million. The awards kept coming for Mirra throughout the early twenty-first century. He won the NORA Cup Ramp Rider of the Year award in 2001, 2002, and 2003. The award is voted on by fans of the sport, so to win the cup three years in a row was a huge honor for Mirra. "Awards like this let me know my riding gets appreciated by a lot of people and that makes me feel really good," he's quoted as saying on 23mag.com. By 2005, Mirra had won a total of eighteen medals in the X Games; thirteen of them are gold. He took home the gold in four BMX vert and park competitions as well, and became one of the most-recognized BMX faces in the media. Mirra has been the World Champion ten times over and has won virtually every other title known to the BMX world. His name commands the respect of his colleagues and the worship of Mirra-wanna-bes. In 2004 he was chosen by MTV to host the series Real World/Road Rules: The Inferno. With two seasons under his belt, he's proven to be a hit with the viewing audience. Mirra won the ESPY Award for Best Male Action Sports Athlete in 2005. The star athlete was quoted in a press release as saying, "Of all the awards that I've won, this is the ultimate compliment because this came from the fans." In July 2005, Mirra had returned home from a nine-day road trip from Reno to Vancouver. He made the trip with a handful of friends who were working with him to film his first movie, Sentenced to Life. The purpose of the road trip was to stop at every skate park along the journey and film Mirra performing stunts and meeting local riders. Although as of 2005 there was no release date yet for the film, no one doubted that Mirra would publish it. He's done everything he's set his mind to. He explained the Mirra philosophy to Willoughby: "Anything you want to get better at is a commitment. Without commitment, there would be no success." Mirra planned to marry his longtime girlfriend in November 2005. When he's not biking, he gets involved with several charities, including the Dream Factory, a foundation that grants wishes to critically ill children. Mahaney, Ian. 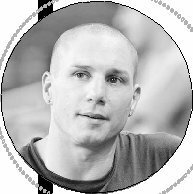 Dave Mirra: Bicycle Stunt Riding Champion. New York, NY: PowerKids Press, 2005. Mirra, Dave. Mirra Images. New York, NY: Regan Books, 2003. Rosenberg, Aaron. Dave Mirra: BMX Superstar. New York, NY: Rosen Publishing Group, 2004. Willoughby, Scott. "Freestyle Rider Mirra Continuing to Push Limits." Denver Post. Reprinted online at Jackson Hole Star Tribune. http://www.jacksonholestartrib.com/articles/2005/07/08/sports/9d5e0163929cf74d87257038005966da.txt (accessed on August 8, 2005). "Biker Dave Mirra Enjoying Life in Fast Lane." MSNBC.com (July 9, 2005). http://msnbc.msn.com/id/8488768/ (accessed on August 8, 2005). "Dave Mirra." Maxxis.com. http://www.maxxis.com/products/bicycle/riders_profile_details.asp?id=140 (accessed on August 8, 2005). >"Dave Mirra Biography." Kidzworld.com. http://www.kidzworld.com/site/p4868.htm (accessed on August 8, 2005). Dave Mirra Official Web Site. http://www.davemirra.com (accessed on August 8, 2005). "Dave Mirra Receives Honor." Reflector.com (July 17, 2005). http://www.reflector.com/sports/content/sports/stories/2005/07/17/20050717GDRdave_mirra.html (accessed on August 8, 2005). "Plywood Hoods History." Plywoodhoods.com. http://plywoodhoods.com/main.html?history.html (accessed August 8, 2005). whats ur secret to bike riding? when i grow up i want to be a pro like u. what is the easiest trick to do?